This week's theme for the Raise the Bar challenge is to use an image with a hat in it. I think it's time to get my Christmas stash going, so this was perfect to ink up this sweet PI gal! I paper-pieced the coat and colored with Copics. Flower Soft was added to the furry trim and Diamond Stickles was added to the star and ornaments on the tree. 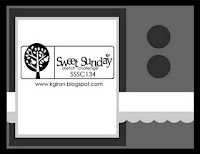 I flipped Karen Giron's Sweet Sunday Sketch to accommodate the image. STAMPS: Sending You a Little Christmas by MFT. PAPER: Christmas Eve Chowder 6x6 pad by Jillibean Soup, Old Olive, White. ACCESSORIES: EK Success border punch, Triple heart punch by SU, Diamond Stickles, Polar White Flower Soft, Copics (R43, R46, Y08, C5, C7, E000, E00, E25, E44, E47, YG93, YG95). Be sure to check out the other bartenders samples HERE! I'm enjoying my week of vacation and can't believe it's more than half over! No special plans...just enjoying having extra time for cooking, shopping, stamping, acting lazy - lol! 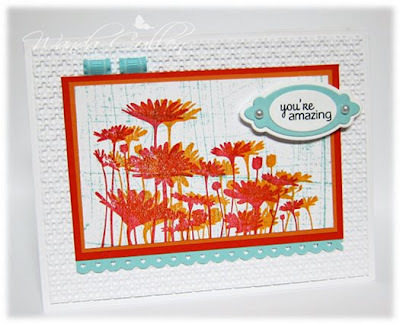 I made this card for My Favorite Thing's Wednesday Sketch Challenge and used the super color combo by Kristin on the Color Throwdown blog - Calypso Coral, Poppy Red, Lucky Limeade & Early Espresso! As you can see, I flipped the sketch to accommodate the image. 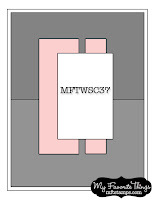 Nothing like a little tag to cover up a smudge on my wonky rectangle! :-) I used Copics to color the poppy: YG03 & YG13 on the leaves; YR02, YR09, R46 & Y35 on the flower. Diamond Stickles were added to the center. 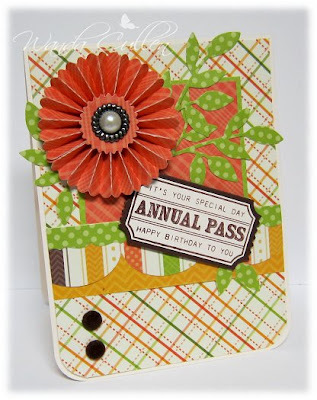 The BG was embossed using the Victoria EF...one of my "go to" folders. 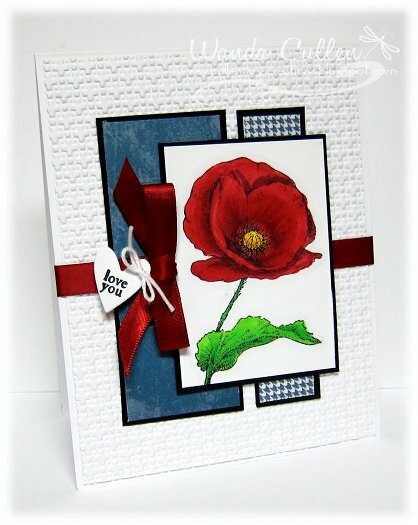 STAMPS: Flowers 3 by MFT, Tiny Tags by PTI. PAPER: My Mind's Eye Lost & Found Two "Rosy" pad, Vintage Cream, Early Espresso. ACCESSORIES: Dark chocolate satin ribbon by PTI, Victoria EF, Slot punch by SU, Tiny tags die by PTI, Baker's twine, Diamond Stickles, Wonky rectangle Nesties, Sewing machine. 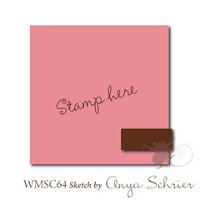 By the looks of my blog entries, you'd think my stamping was on hiatus! Wrong! I've been working on a couple of cards for the Hope You Can Cling To challenges that will happen in October on SCS...watch for the daily challenges that will begin on the 1st! I've also finished the 5th card for the Dirty Dozen gallery in October (3 more to go)...sooo, you can see my stamping hand has not been idle after all! :-) This card was made using the Mojo Monday Sketch challenge layout and it's also for the Color Challenge on SCS to use Pool Party, Cherry Cobbler & Early Espresso. 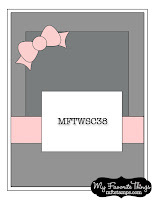 I thought this DP from the Madeline 6x6 pad by Prima Marketing included all 3 colors well. The leafy flourish (die by Cheery Lynn Designs) was cut from Early Espresso CS. 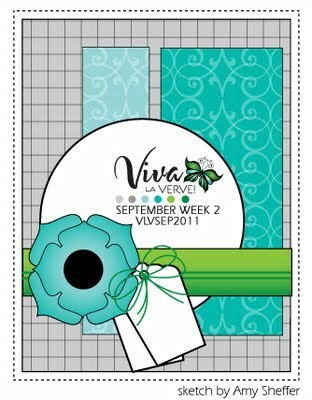 The flowers were die cut from one of Verve's new flower dies. Then a tiny tag tops it off...one of my all-time fave sets from PTI. 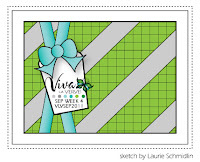 Laurie Schmidlin has a unique & fun sketch for today's Viva la Verve challenge in the Verve forum on SCS! 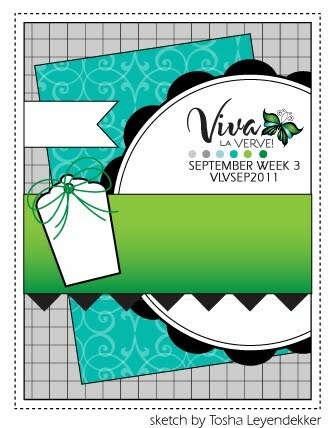 I used these great reversible papers from Bo Bunny and created a layered tag with Verve dies. I dyed the seam binding using Tiger Lily Shimmer Mist by Tattered Angels. The sentiment is from Verve's Tag Time set. The butterfly is a layered Sizzlet die by SU. It's been POURING down rain all morning, so guess I'll have to battle the elements and head off to work! ACCESSORIES: Dizzy doily Die-namic by MFT, Jute twine, Corner chomper, Copics. Good Wednesday morning! The sun is in hiding all week here in VA, but I wanted to have some colors shine in my stamp room by using these warm fall papers in the Simply Autumn pad by Recollections. 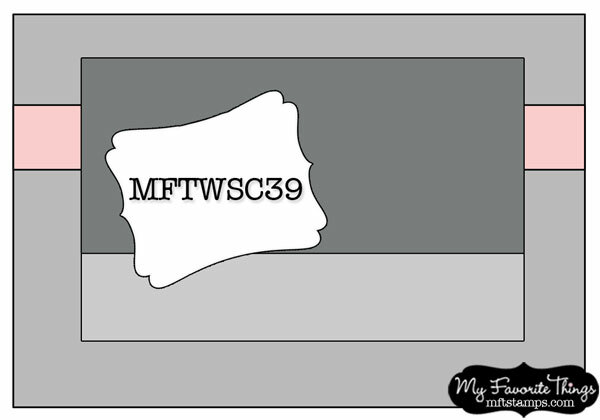 It's time again for the MFT Wednesday Sketch Challenge in their forum on SCS. 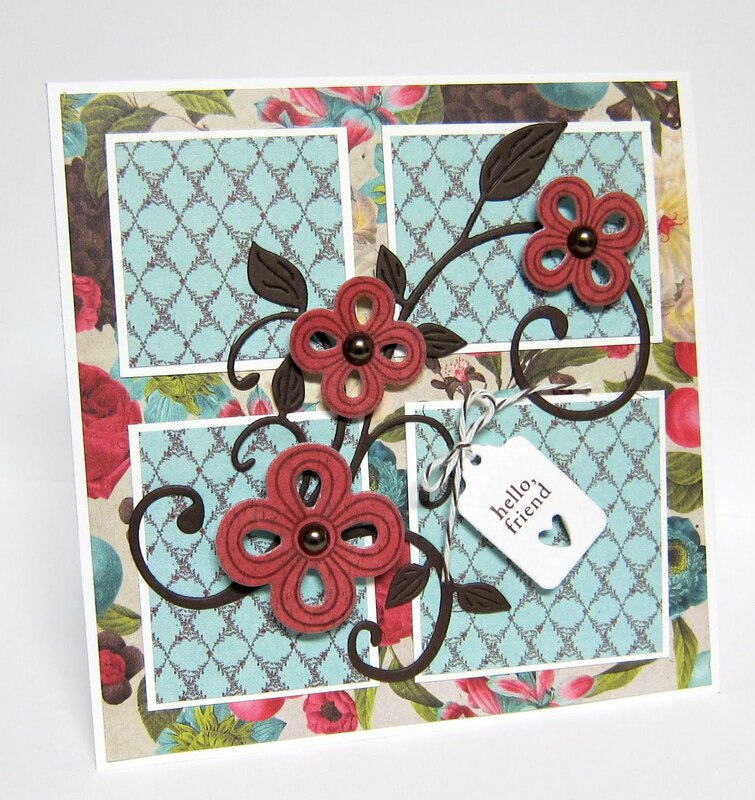 This was my first attempt at using the Tim Holtz mini rosette die and I love it...so easy to put together compared to the hand-scoring method! I also used SU's little leaves Sizzlet die along with 2 border Die-namics by MFT. 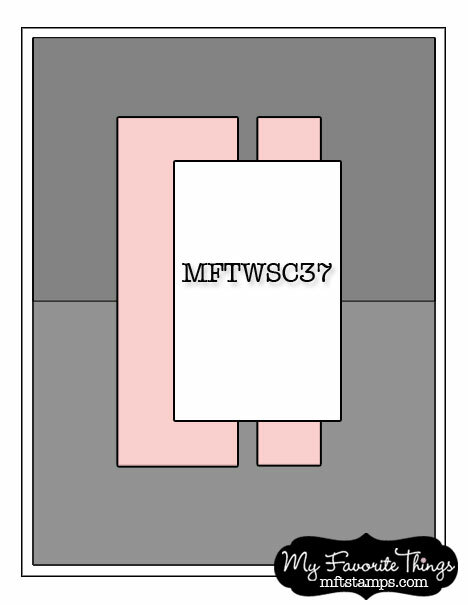 I tweaked the top panel on the sketch so I wouldn't cover up too much of the border and thought the ticket die with coordinating sentiment ticket from MFT's Ticket Die-namics set would be a great fit. That's all from me...my laundry room is calling my name! 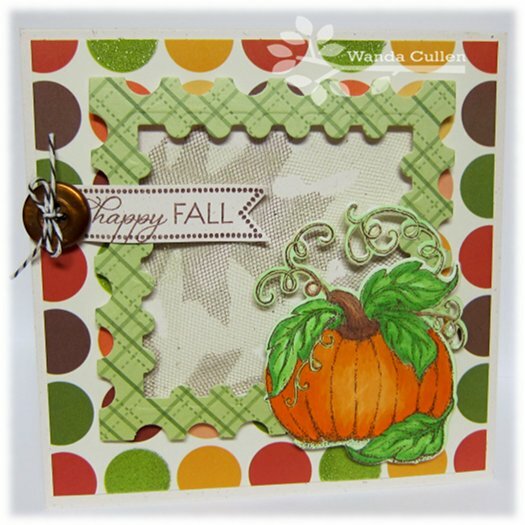 Vicki has chosen 3 fun colors for the Color Challenge on SCS: Tempting Turquoise, Pumpkin Pie & Old Olive with the dessert option to use leaves. 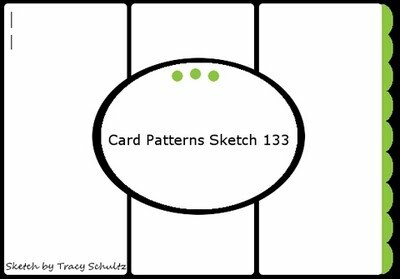 I used the layout for the Card Patterns Sketch Challenge and will also enter this into the Stamptacular Sunday Challenge with a "Just Sayin'" theme (put words/sentiment on card). 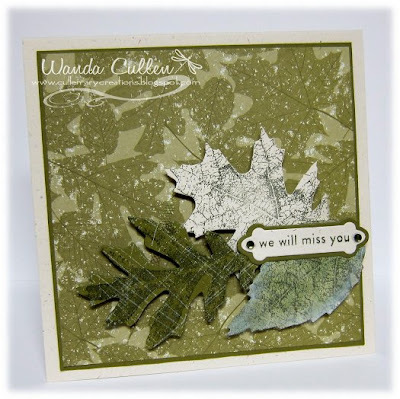 I once again grabbed these fab leaf images by Tim Holtz and kept it CAS with only the sentiment as the focal point. The pop of turquoise is a fun addition to the traditional fall colors. STAMPS: Falling Leaves (Tim Holtz), Harvest Blessings (Verve). PAPER: Rustic Cream (PTI), Tempting Turquoise (SU), Vintage Cream (PTI). INK: Tempting Turquoise, Pumpkin Pie, Old Olive. 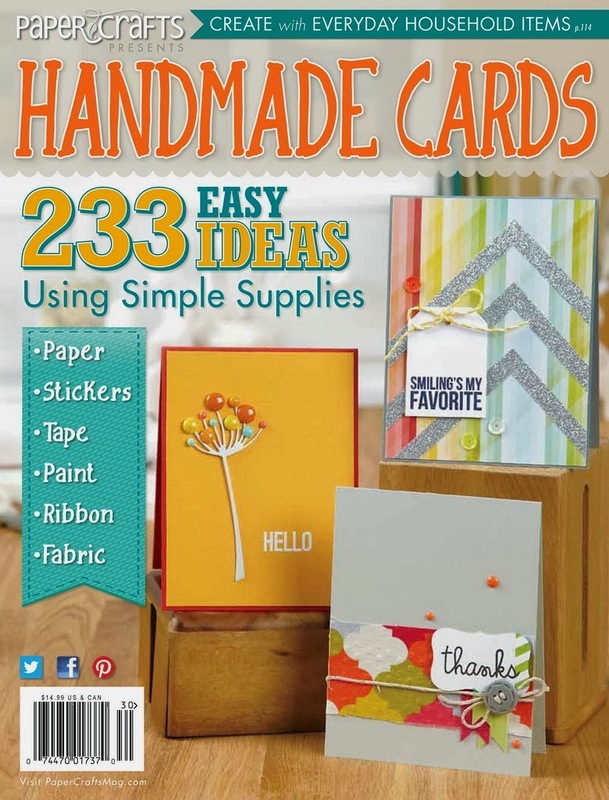 ACCESSORIES: Fancy Labels Two by Spellbinders, Lg. oval and scalloped oval punches by SU. 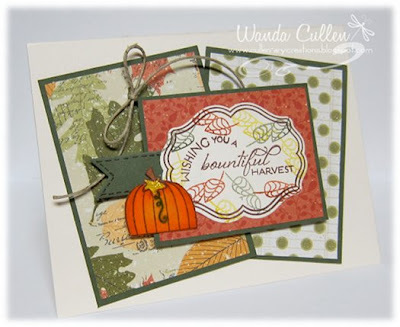 STAMPS: Tag Time & Bountiful Harvest - Verve. PAPER: Fall Prints & Patterns by PTI, Ripe Avocado, Vintage Cream. ACCESSORIES: Jute twine, Sentiment Flags die, Diamond Stickles, Copics, Tag die by Verve, Foam dots. The SCS CAS challenge is "leaves", so I knew I wanted to try the water spritzing technique using Tim Holtz' great Falling Leaves set! I used Old Olive, Pumpkin Pie & Crushed Curry ink. 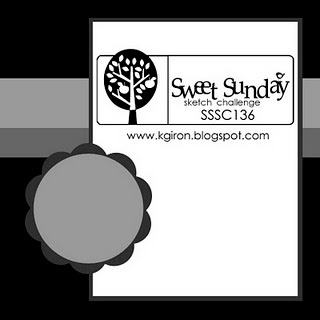 After applying the ink to the rubber, I spritzed the stamp with water then stamped on white CS. Love the effect! 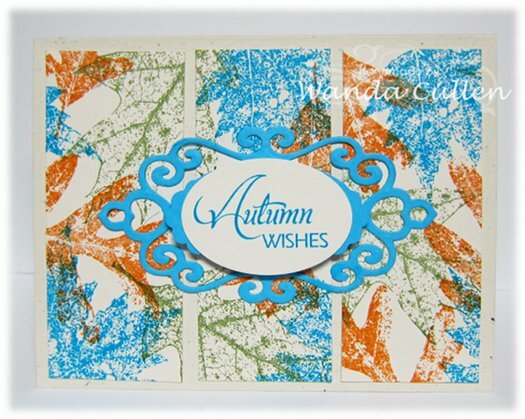 A quick Verve sentiment from the Autumn Splendor set and a trio of rhinestones finished it off. 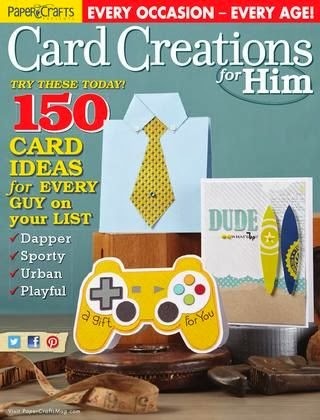 I'm killing 4 birds with one stone with this card! It's monochromatic for Sankari's Get Your Diva On challenge and it's mostly blue for the Free 4 All challenge on SCS. 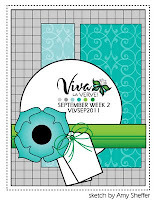 It also uses Tosh's great sketch for week 3 of the September's Viva la Verve challenges! 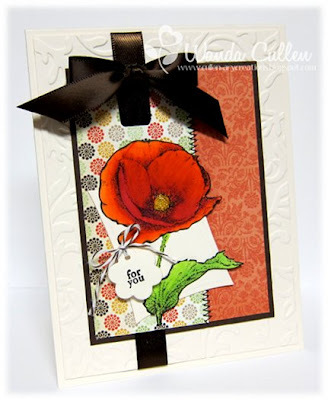 There's also a NEW challenge on the block and that's the Dolce Stamps and Cards Thursday Challenge! Heather is asking us to create a distressed card. I went with papers from MME's Stella & Rose "Hattie" collection and also used PTI's vintage cream CS. After I had it all together, I realized I forgot to sponge the tag...DRAT! I will have to add that later (yes...Freud has a name for people like me - lol!). The yummy lace trim is also from MME...a find on my last shopping trip to Scrapdoodles. The flower is one of MFT's newest Die-namics and has endless possibilities! The tabs were made using SU's word window punch. That's it from me on this glorious fall day! I've really enjoyed my day off and hope it's been a good day for you as well! 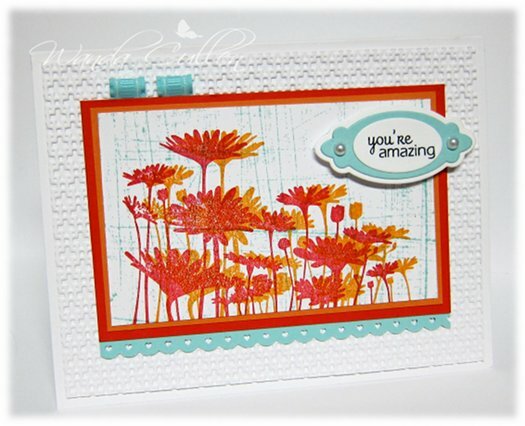 STAMPS: Tag Time & Great Friend - both by Verve. INK: Blue Bayou, Antique Linen distress ink by Tim Holtz. 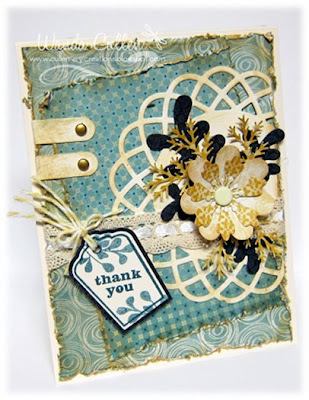 ACCESSORIES: Dizzy doily Die-namic by MFT, Flower Die-namic by MFT, Little tag dies by Verve, Word window punch, Sprig dies by Verve, Fern punch by MS, Brads, Baker's twine, Lace trim, Distressing tool, Sponge. Another week has rolled around and it's time again for Raise the Bar's challenge. This time the bartenders are creating cards with lots of leaves to acknowledge that it's time to "leave" summer! I went with some new DP by PTI and used Karen Giron's layout for the Sweet Sunday Sketch Challenge. I hand dyed the seam binding using Suede Glimmer Mist by Tattered Angels. The edges of the sentiment tag were sponged with Antique Linen distress ink. Two leaf brads finished off this card. 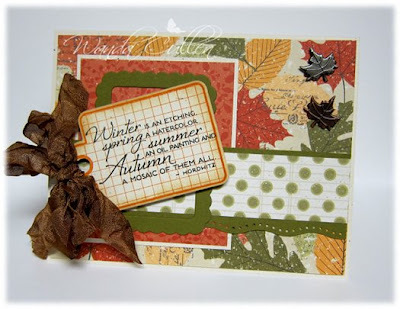 STAMPS: Autumn Splendor (sentiment) & Tag Time - both sets by Verve. PAPER: Fall Prints and Patterns by PTI, Rustic Cream & Ripe Avocado by PTI. INK: Always Artichoke, Pumpkin Pie, Antique Linen distress ink by Tim Holtz, Black. 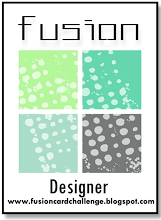 ACCESSORIES: Frame die & tag die by Verve, EK Success border punch, Leaf brads, Seam binding. 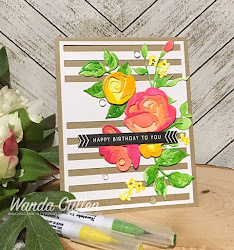 Using the layout for MFT Wednesday Sketch Challenge, I also created this card for the Color Throwdown challenge to use Cherry Cobbler, Pacific Point and Black. I wanted to ink up one of MFT's new floral images and the poppy was a perfect fit! 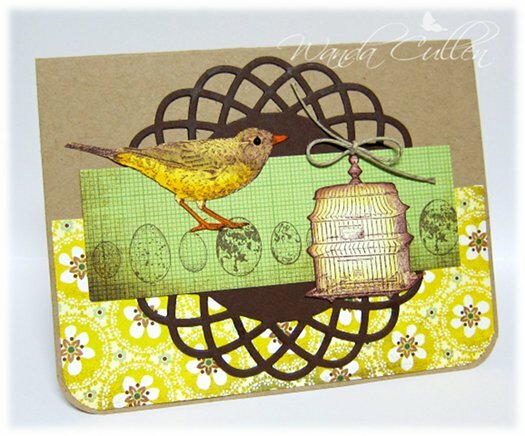 Papers are from Pinkpaislee's Bayberry Cottage pad and the BG was embossed using SU's square lattice EF. It's hump day already and wanted to remind you that tomorrow is another Dirty Dozen reveal day! You will love the new dirty girls! 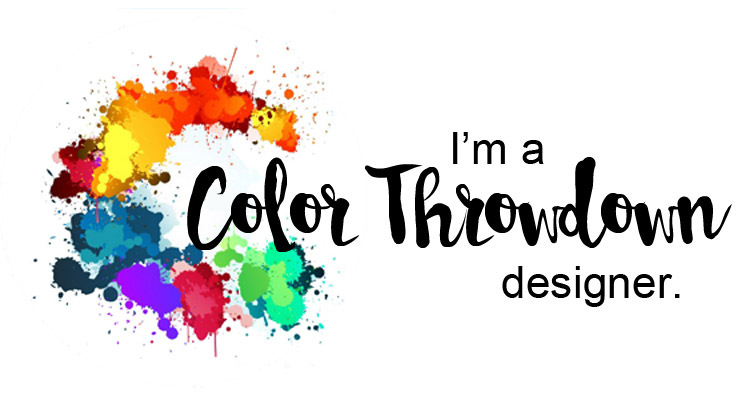 Those words all symbolize summer and Peggy has picked some wonderful summer colors for the Color Challenge on SCS! Summer isn't officially over, so we're to use the vivid colors of Peach Parfait, Poppy Parade & Pool Party with the option to use an outdoor element - in my case...flowers! I love using the sanded BG stamp when I want a very subtle hint of color added. ACCESSORIES: Pool Party ribbon, Square lattice EF, Small hearts border punch by MS, Oval tag dies by Verve, Pearls. 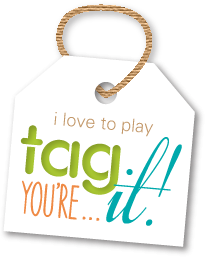 Fall Fun Blog Hop Winner! Using random integer.com to choose my winner, it generated comment #35 as the winner! CONGRATULATIONS HEATHER! Such a great card!! I love your blog name too! Thanks for playing along in the blog hop...I will email you to get your mailing address. 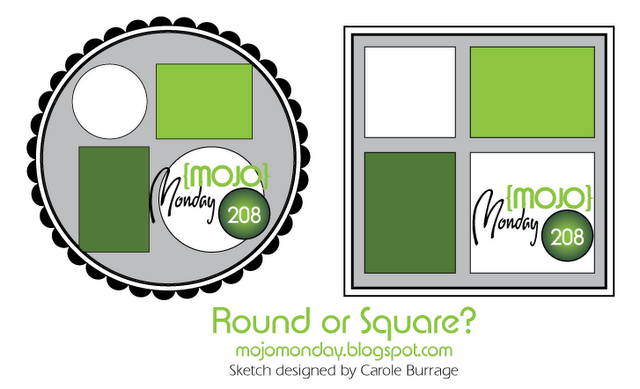 This week's Waltzingmouse Sketch Challenge is a CAS layout by Anya Schrier. 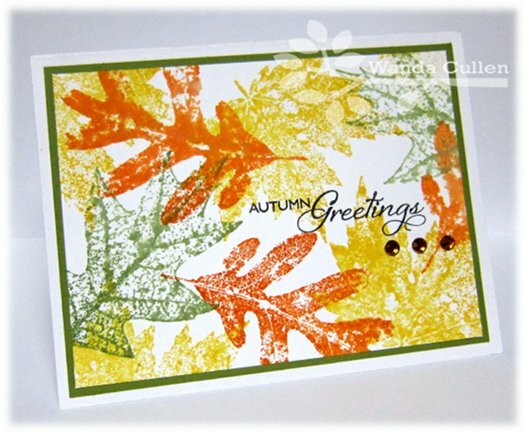 I went with a monochromatic card and used Tim Holtz' tattered leaves die and cut leaves from Ripe Avocado & Rustic Cream CS. I stamped, sponged and added the sanded BG stamp in white to the darker oak leaf. STAMPS: Say it Loud by WMS, Falling Leaves by Stampers Anonymous Tim Holtz Collection, Sanded BG by SU. PAPER: Fall Prints & Patterns, Ripe Avocado, Rustic Cream. 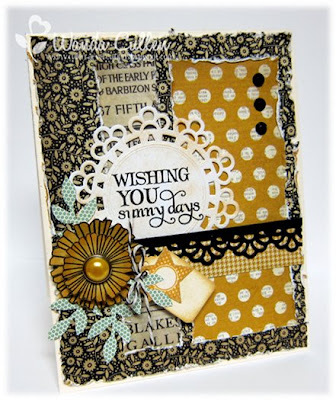 Crazy 4 Challenges - use orange, olive green, yellow & brown colors. Our Creative Corner Challenge - wonderful windows. ODBD Shining Light Challenge - lacing. I might get gonged on this one...not sure if lacing baker's twine through a 4-holed button is what they had in mind, but I'm going with that for now! 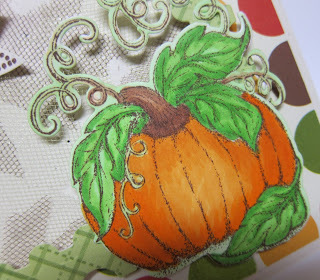 :-) I loved coloring this new ODBD pumpkin image, then used their coordinating die to cut it out! The square of rustic cream CS behind the postage stamp Nestie frame is covered with overlapping tulle leaves that were cut using Tim Holtz' tattered leaves die. I used brown and light green tulle which gives a very subtle texture to the BG. The finished card is 5 1/4" square. STAMPS: Pumpkin by ODBD, Sentiment Flags by Lil' Inker Designs, Happy Fall (sentiment) by Verve. PAPER: Simply Autumn by Recollections, Rustic Cream by PTI. ACCESSORIES: Pumpkin die (ODBD), Postage Stamps Nesties, Button, Chocolate baker's twine, Copics. Had a super fun day trip with my good stamping friend, Teresa Kline, as we traveled to Fredericksburg, VA to our fave LSS, Scrapdoodles! Dawn (on far left) is an employee of the store and also a member of SCS. Gee...do you think any of us like the color green - lol?! 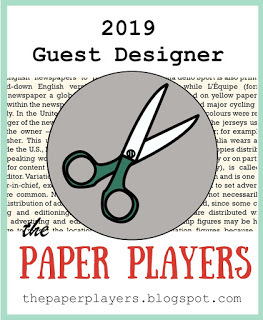 I came home to an empty house, so jumped right in with some new toys to create this card for the Viva la Verve challenge - a great sketch by the talented Amy Sheffer! I'm also entering this into the Verve Diva Dare Sending Some Sunshine Challenge. We are to actually send the card to someone who needs some encouragement, so this will go out to a friend who is facing some personal struggles. ACCESSORIES: MS doily tag, Tiny Tags by PTI, Pearl brad by American Crafts, Black rhinestones, 2-step bird punch, Baker's twine, Distressing tool, Faux Crochet border Die-namic by MFT.